In this May 22, 2018, file photo, South Korean President Moon Jae-in waves as he is welcomed by U.S. President Donald Trump to the White House in Washington. 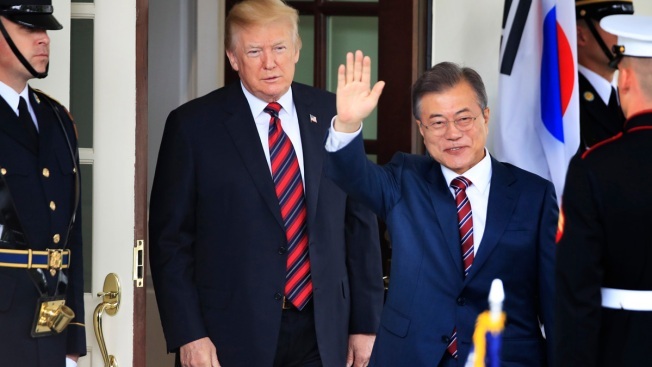 South Korea said on Friday, March 29, 2019, Moon will travel to the United States on April 10-11 to meet with Trump for a summit on North Korean nuclear diplomacy. 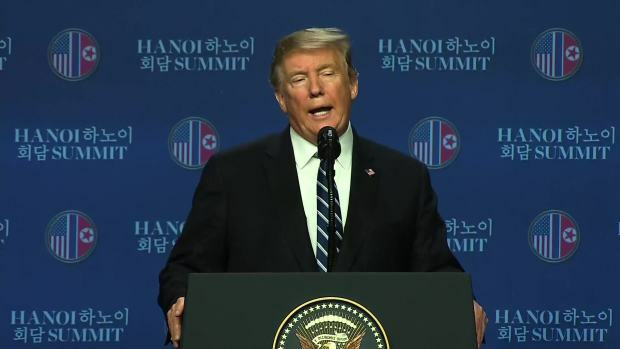 Before their summit, Kim Jong Un sent a letter to Trump heaping praise on him and making clear that he only wanted to negotiate with the president, current and former U.S. officials told NBC News. Officials across the U.S. government and in allied governments worked to stop Trump from giving up too much in negotiations, they said. "A huge amount of energy was devoted to avoiding disaster," one former U.S. official said.